One of my interests is the invention or discovery of new technology. Here are recent reports about two of those: (1) Spray-on batteries, which could be used in conjunction with (2) Paint-on solar cells. LONDON, June 28, 2012 (Reuters) — Scientists in the United States have developed a paint that can store and deliver electrical power just like a battery. “This means traditional packaging for batteries has given way to a much more flexible approach that allows all kinds of new design and integration possibilities for storage devices,” said Pulickel Ajayan, who leads the team on the project. The researchers are looking for components that would allow construction in the open air for a more efficient production process and greater commercial viability. Neelam Singh, who worked on the project, believes the technology could be integrated with solar cells to give any surface a stand-alone energy capture and storage capability. The researchers tested the device using nine bathroom tiles coated with the paint and connected to each other. When they were charged, the batteries powered a set of light-emitting diodes for six hours, providing a steady 2.4 volts. The results of the study were published on Thursday in the journal Nature Scientific Reports. 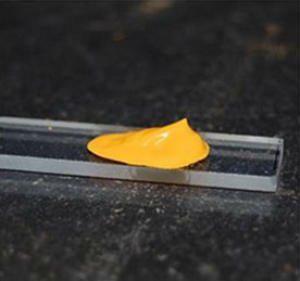 A team of researchers at the University of Notre Dame have made a major advance toward this vision by creating an inexpensive “solar paint” that uses semiconducting nanoparticles to produce energy. The team’s search for the new material, described in the journal ACS Nano, centered on nano-sized particles of titanium dioxide, which were coated with either cadmium sulfide or cadmium selenide. The particles were then suspended in a water-alcohol mixture to create a paste. When the paste was brushed onto a transparent conducting material and exposed to light, it created electricity. 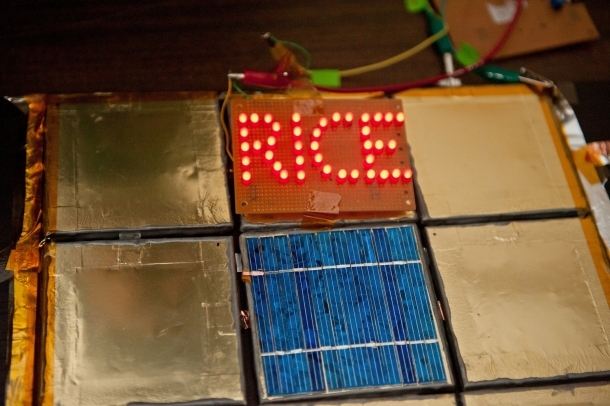 “The best light-to-energy conversion efficiency we’ve reached so far is 1 percent, which is well behind the usual 10 to 15 percent efficiency of commercial silicon solar cells,” explains Kamat. “That’s why we’ve christened the new paint, Sun-Believable,” he adds. Kamat and his team also plan to study ways to improve the stability of the new material. 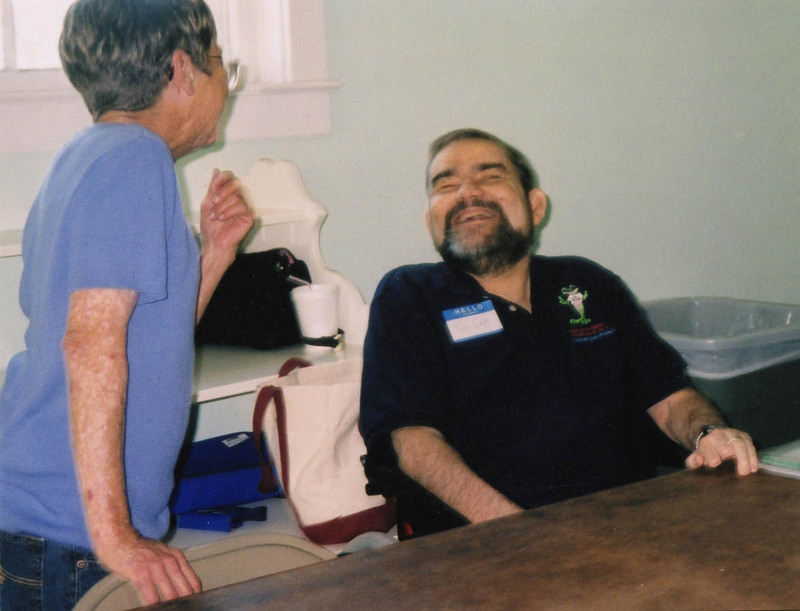 One of my favorite photos of Tim, taken at the Tanner Family Reunion in October 2006, talking and laughing with his cousin Frances Tisdale. I loved and still love that infectious smile! Tim is 66 years old today, celebrating it with his Mom and Dad, other friends and family in heaven. Imagine those parties! Top left to right: Marena Springs Powers, Etta Follette Motte. 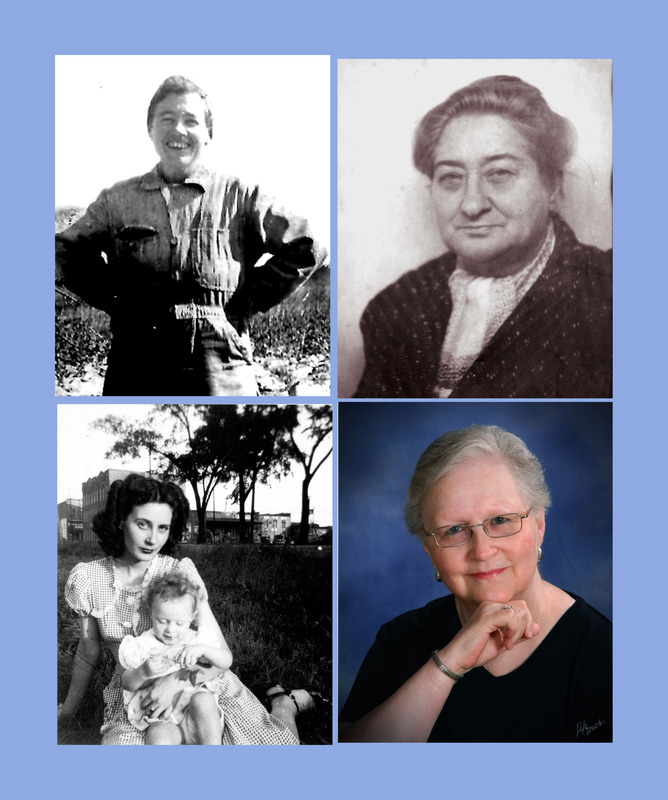 Bottom left to right: Bertha Powers Motte with Betty, Bette Motte Cox. The first three snapshots were taken probably by my photographer father, Harold W. Motte, Sr. All were done in the 1940’s, the one with Mama and me in 1944. The portrait of me was done in June of this year for a church directory. I thought about repairing (retouching) the old snapshots digitally, but I sort of like the authenticity of their appearance. The Powers and Springs were Irish, Mottes and Folletts English or Scots/English. I look more like the Folletts than anyone else in my ancestry, I think. Curiosity spurred me to make this collage to look for resemblances. I like it. Notice the spelling? Names have been changed to… well, not protect the innocent in this family. My real name is Elizabeth, nicknamed Betty, Betts, Betsy, or just plain Bett growing up. I changed the spelling in the 8th grade at the instigation of a classmate who thought Betty was too ordinary. Bette Davis was a big star back then and he suggested I spell it her way. So I did and still do. Etta Follette’s family name had been Follett until they moved to New Orleans and settled in a French neighborhood. The final “e” was added to help the family fit in a little better — apparently there was a little antagonism of the French toward the English in those days. One of the Motte clan moved his family to Florida before the Civil War and dropped the final “e” from their name, I don’t know why. Those distant cousins spell their name Mott and that’s fine with me. We’re still related. Maybe I’ll meet one of them some day.